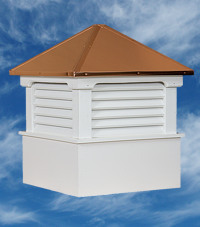 The Salisbury Cupola is constructed of solid Pine Wood, and is part of our Estate Series. 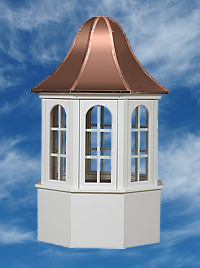 Featuring a horizontal configuration, windows, and a copper pagoda shaped roof. 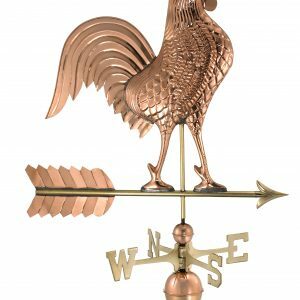 The Salisbury Cupola is constructed of solid Western Red Cedar, and is part of our Estate Series. 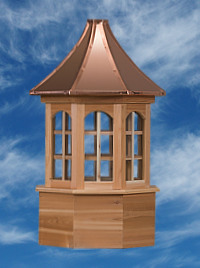 Featuring a horizontal configuration, windows, and a copper pagoda shaped roof.